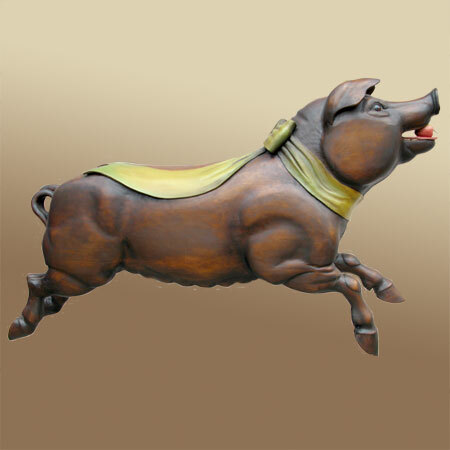 A charming female carved wood pig carries an apple (removable) in her mouth and wears a ribbon bow on her neck the ends of which extend to form a saddle. One of only three carousel figures done by carver Douglas MacGregor. "MACGREGOR 10-19-73" carved on the belly; painted by Mary Lawrence Youree. 47 long x 36 high.